This entry was posted on April 21, 2015 by Jessica Anderson. Teacher Appreciation Week is coming the first week of May! As parents, we trust teachers to provide guidance, teaching, and care to our most precious resource - our children. Yet how do we show how much we value the time and energy teachers put forth for our kids? Below are some ideas to honor your favorite teacher! One of the many cute teacher gift ideas found on Pinterest. Idea #1: Check Pinterest. 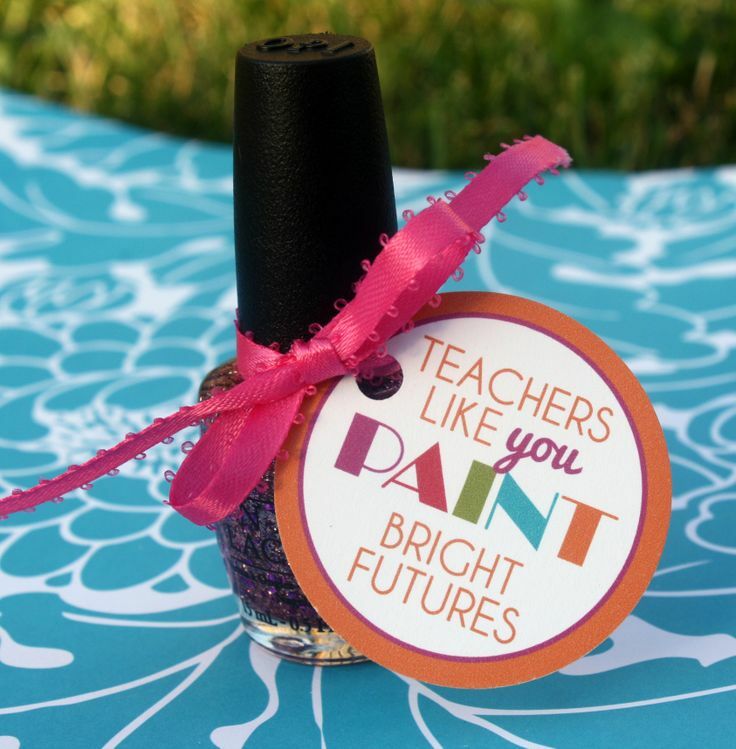 Looking for cute, clever and inexpensive gift ideas for your favorite teacher? Check out our Teacher Appreciation pinterest board - I've shared my favorite ideas there! Idea #2: Engraved Apples. 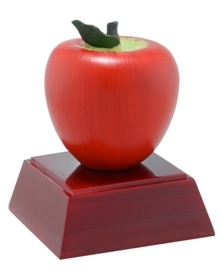 We offer a number of cute apple themed awards, perfect for teacher recognition. Popular choices include our 3-D Apple Plaque, our Resin Apple and our new Crystal Apple. Idea #3: Pool Your Class Gift Money. Many students give small gifts to their teachers, especially during the holidays, during teacher appreciation week, and at the end of the school year. Consider asking the parents in your class to pool gift money together and purchase a larger item for the teacher, such as a larger classroom supply or a gift certificate to a versatile store, such as Amazon. That way the teacher can buy a larger ticket item for their home or classroom. A gift card is always appreciated, as the teacher can use the it whatever way they want. Idea #4: Give your time in their classroom. Many teachers stay after hours planning lessons, grading papers, and attending meetings in order to keep up with changing student assessments and standards. By volunteering in the classroom, your time spent and tasks accomplished means less work for the teacher. You are giving the gift of time! Idea #5: Nominate your teacher for an award. Many PTAs honor an Outstanding Educator each spring, and some community groups also recognize exceptional teachers. We sponsor the 'Teacher of the Week' by Star 101.5 radio station. When a teacher wins an award, the public recognition will make them feel appreciated! Idea #6: Participate in National Teacher Appreciation Week. During the first week of May, communities honor teachers. Most schools take this time to shower their teachers and staff with flowers, goodies, notes, meals, and other gifts. If you are organizing your school's Teacher Appreciation Week activities, the National Education Association has some great ideas. I hope these ideas inspire you to reach out to that special teacher or educator in your life and thank them for the positive impact they make!